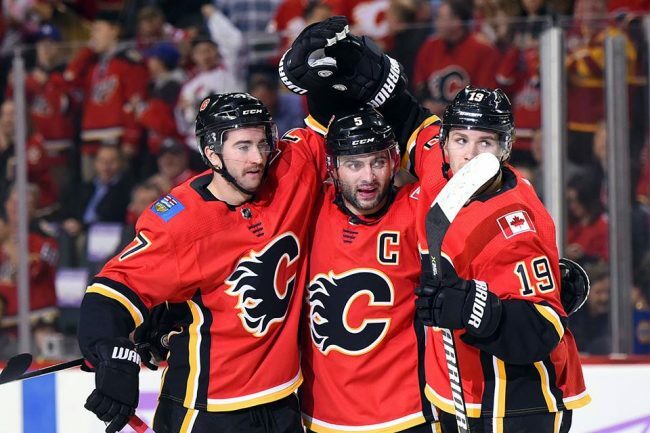 TJ Brodie has seen his fair share of goal celebrations this season for the Calgary Flames. In fact, Brodie is currently tied for the NHL lead in plus-minus with a +16 rating. Brodie’s plus-minus is tied with Gabriel Landeskog and Ryan McDonagh for the NHL lead. In 24 games this season, Brodie has 2 goals and 7 assists for 9 points.